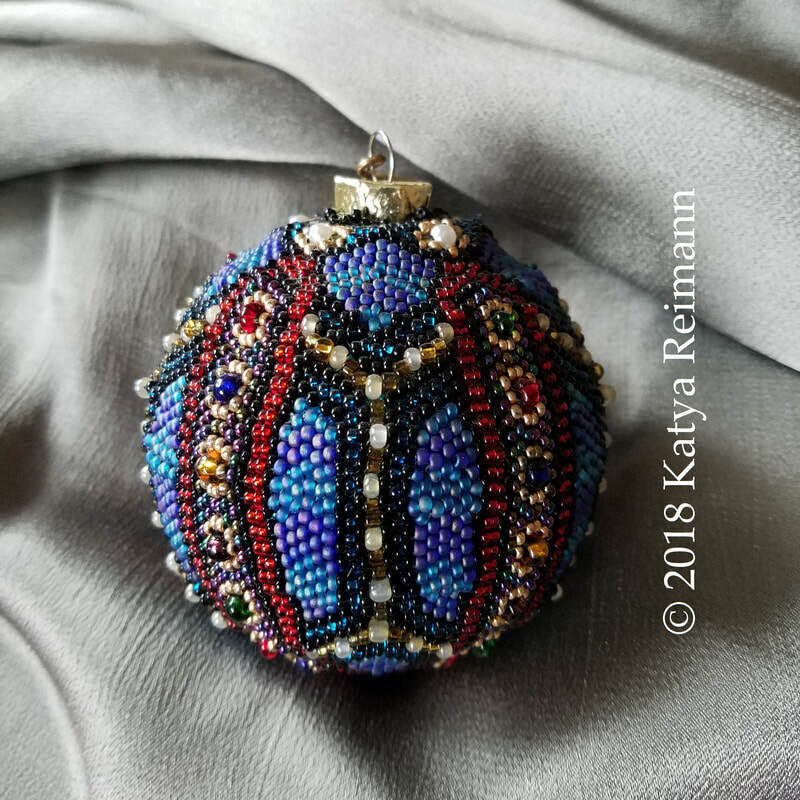 Yes, it's an obsession. 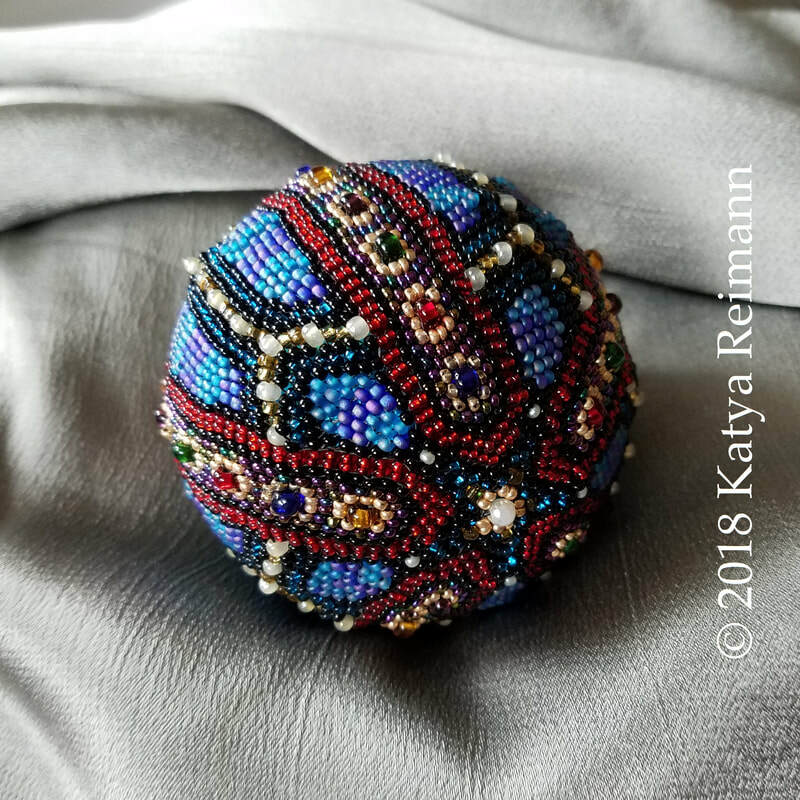 Sometimes I excuse this as my "knitting." 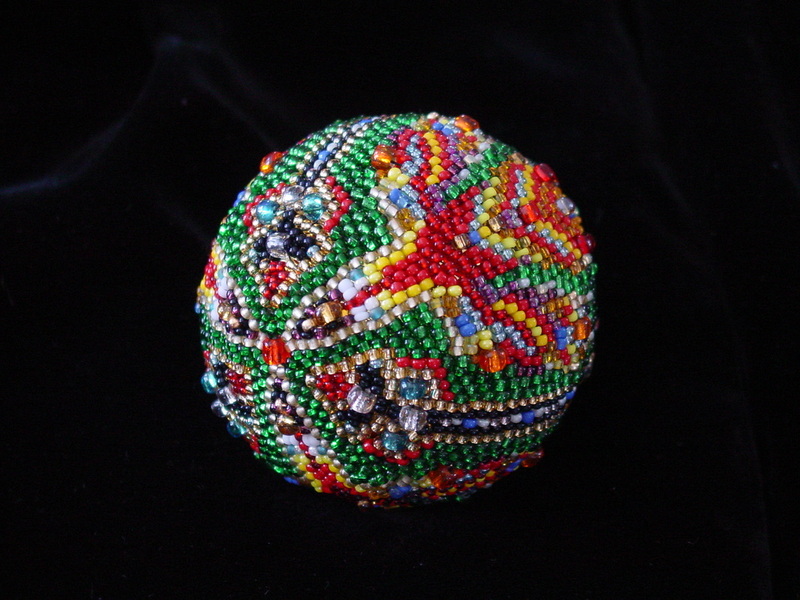 But really, it's an obsession. 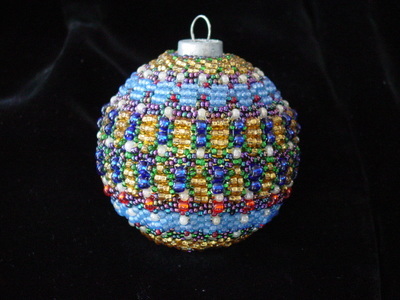 I construct, usually, between 5-12 of these a year. 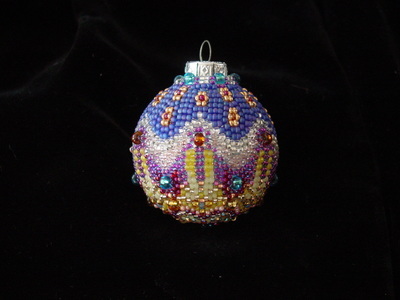 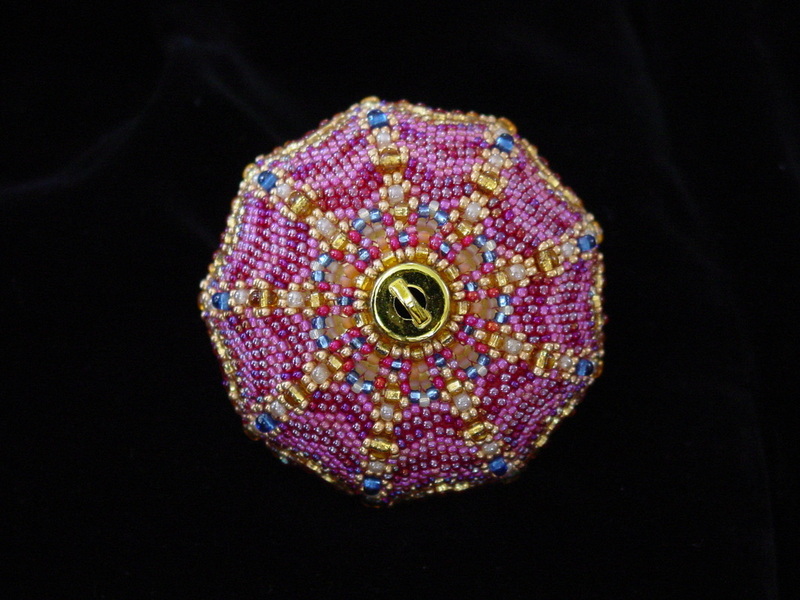 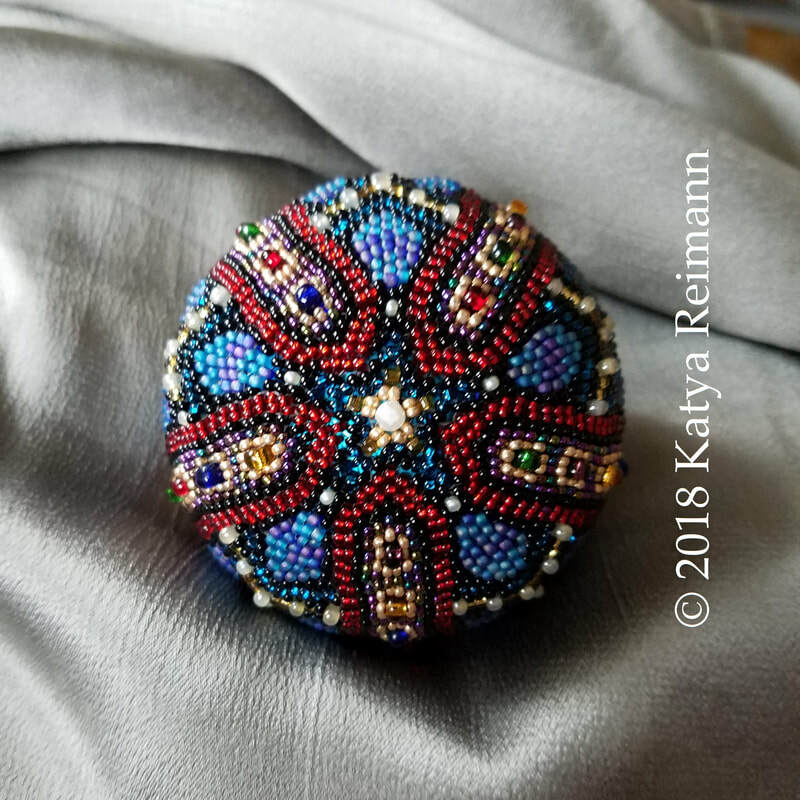 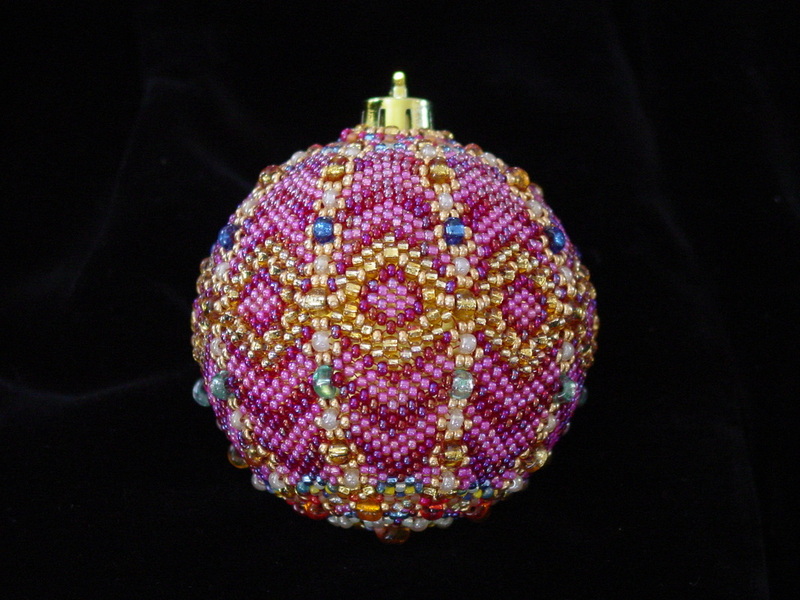 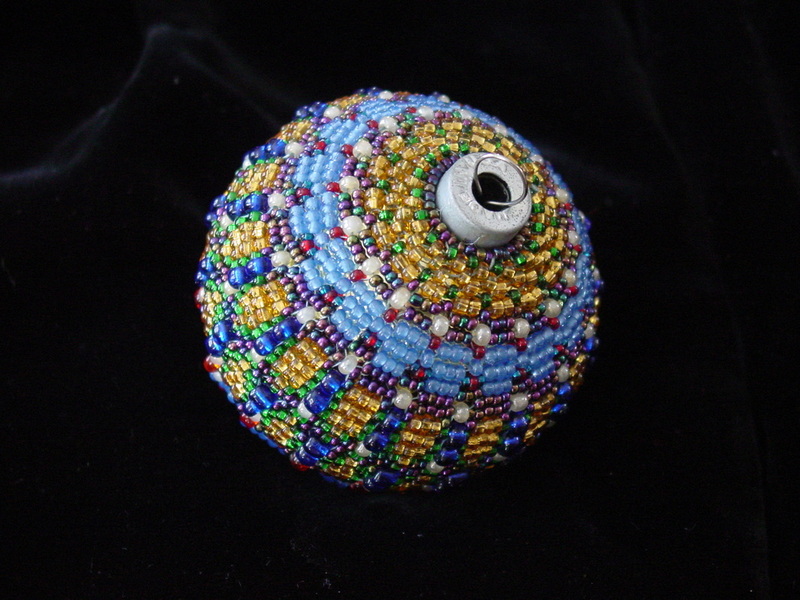 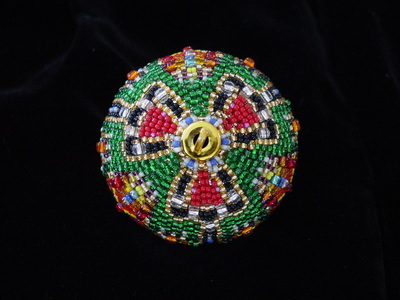 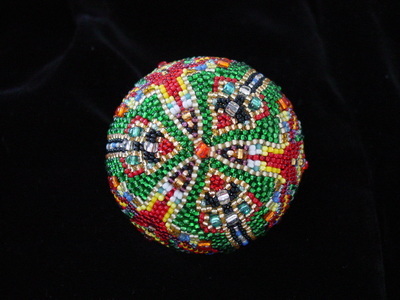 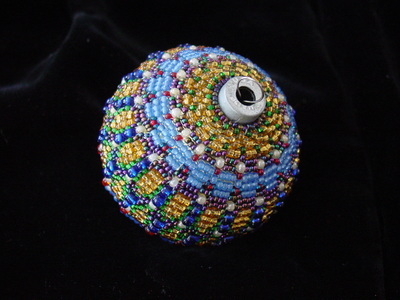 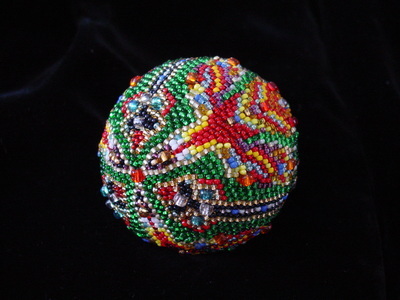 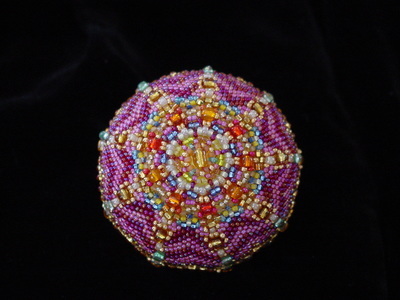 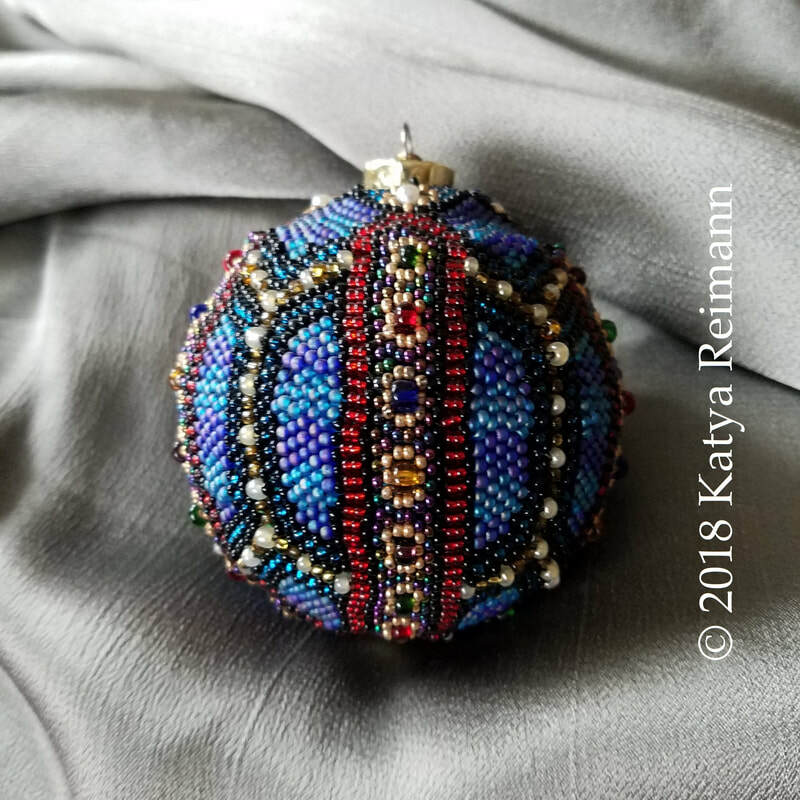 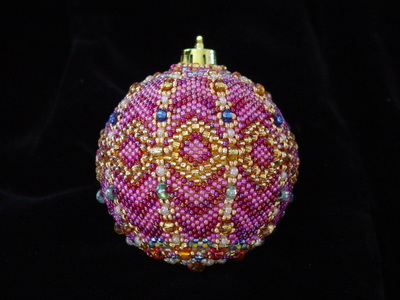 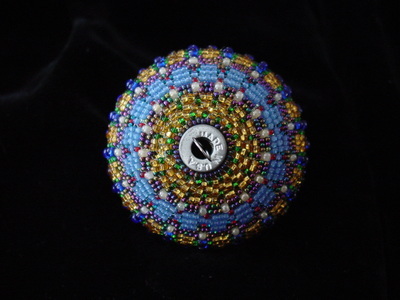 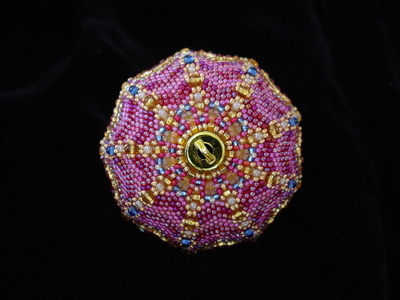 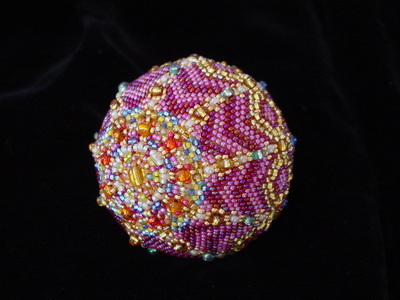 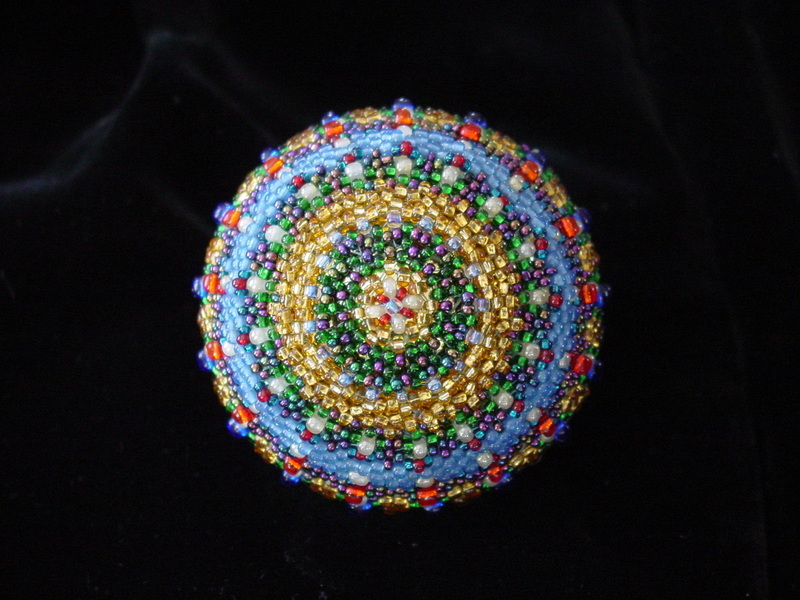 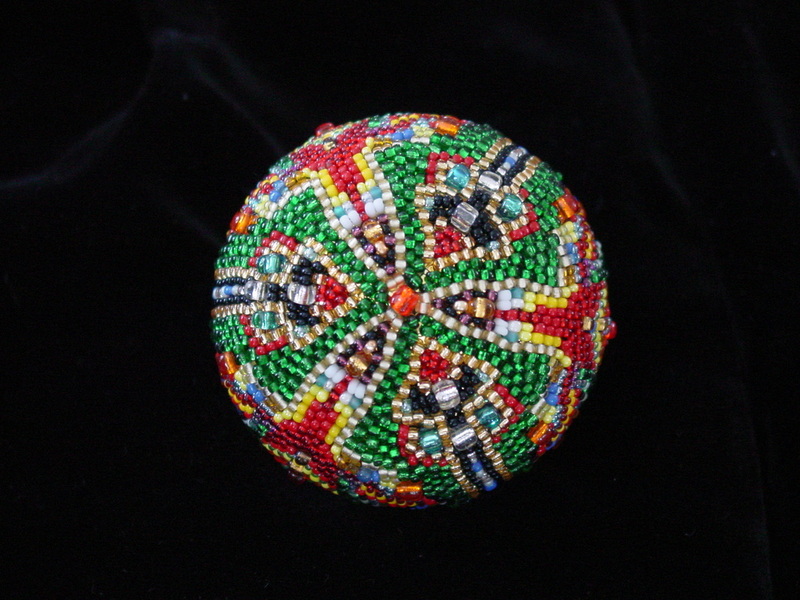 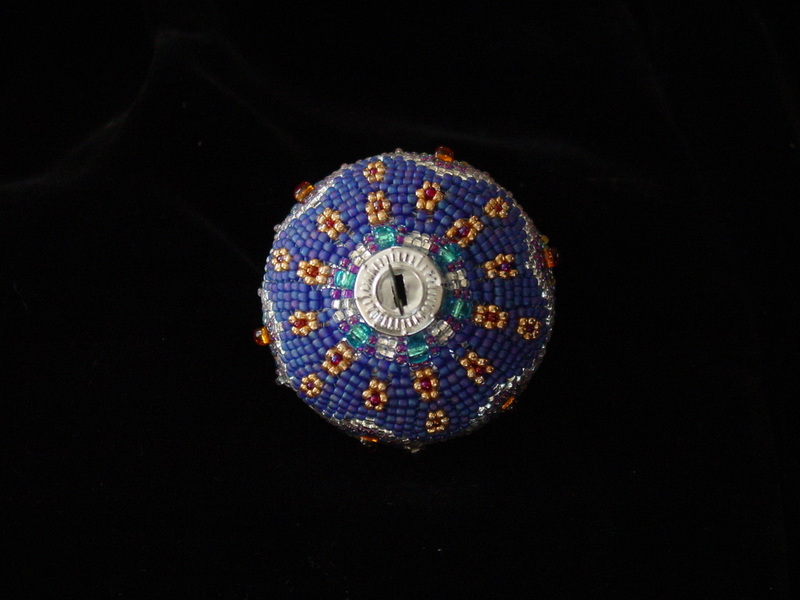 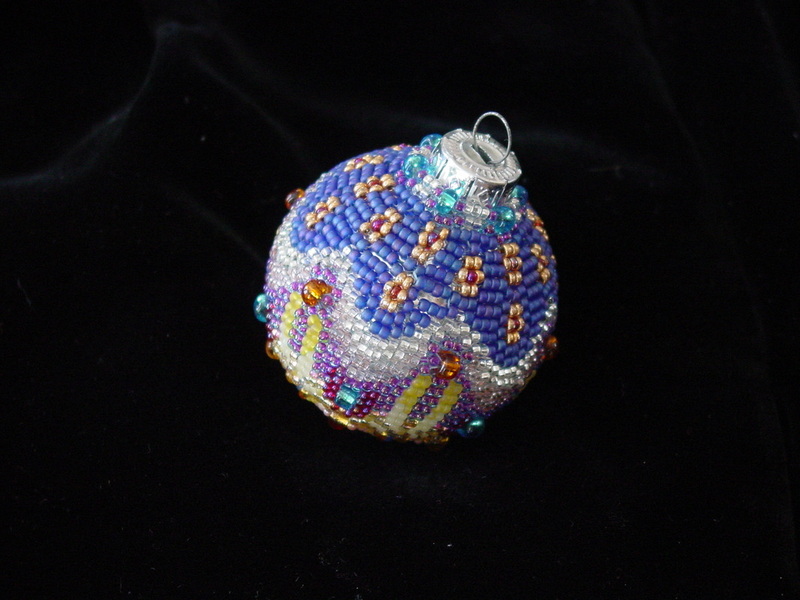 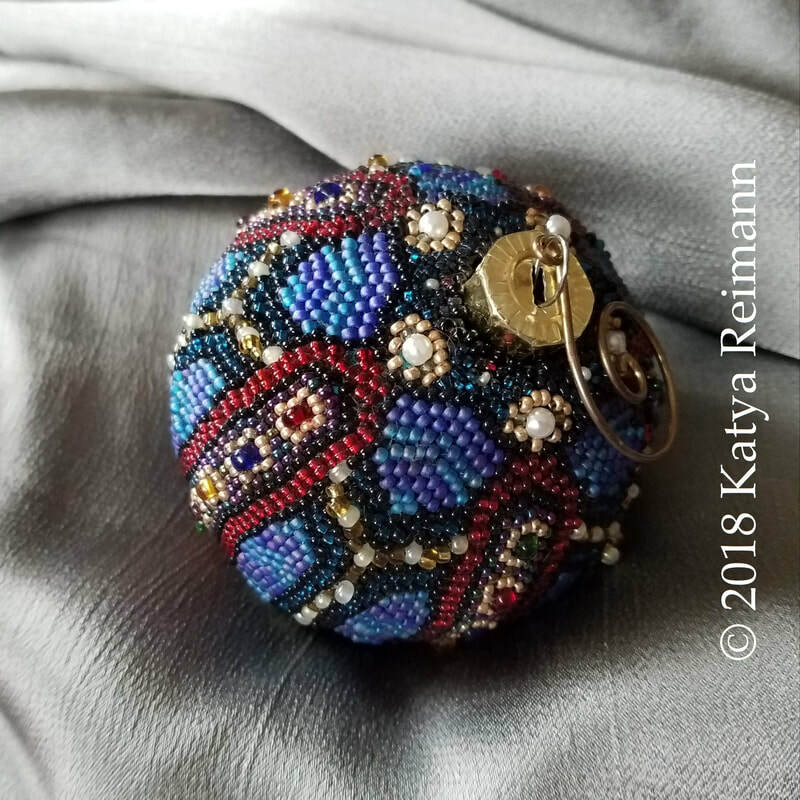 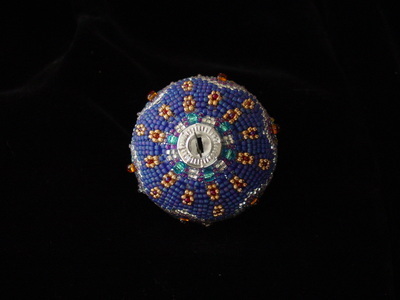 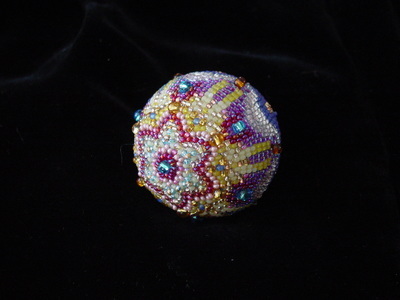 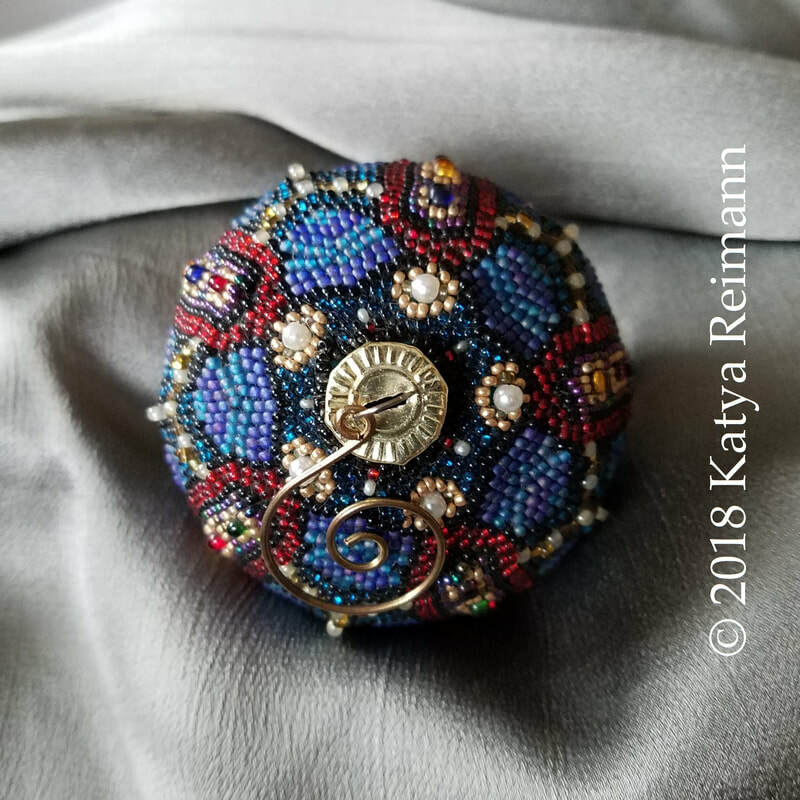 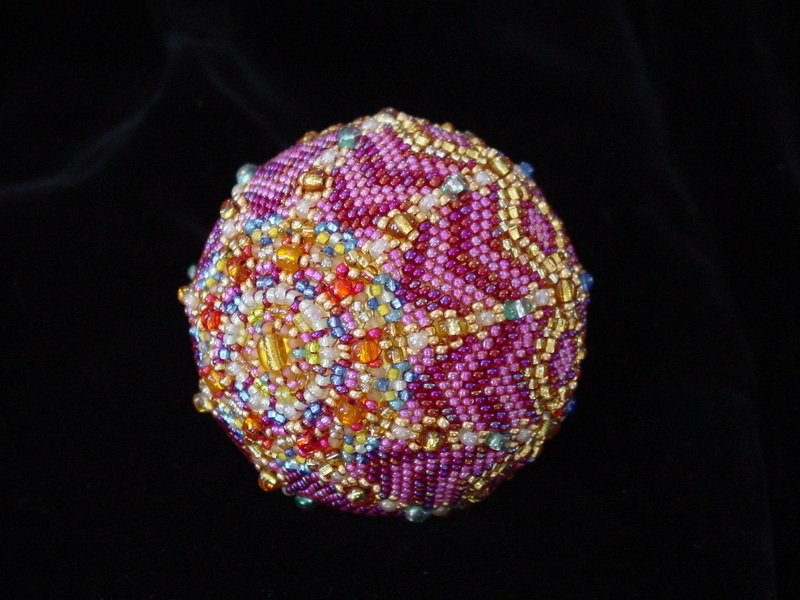 The method is additive Peyote Stitch, which means each bead is sewn on individually. Subtle size changes in the beads mean that it's impossible to exactly duplicate a pattern. 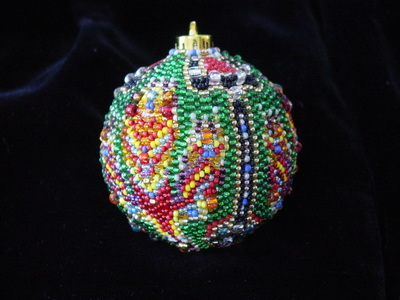 So each ornament is unique, and usually also uniquely titled.